A controversial plan to ship oil by train to the Phillips 66 Santa Maria Refinery will be the topic of a public discussion Thursday night in Grover Beach. Key players from both sides of the issue are scheduled to attend. Representatives from Phillips 66, as well as the Oil Refinery Watch Group [Mesa Refinery Watch Group] are expected to present their arguments for and against the rail project. The forum is being organized by Karen Bright with the South County Democratic Club of San Luis Obispo County. Bright says this issue is important to many people in the area. A growing number of cities, counties, and other governmental bodies located along the Union Pacific rail line have expressed concern over the project. They’ve sent official letters to the San Luis Obispo County Planning Commission. 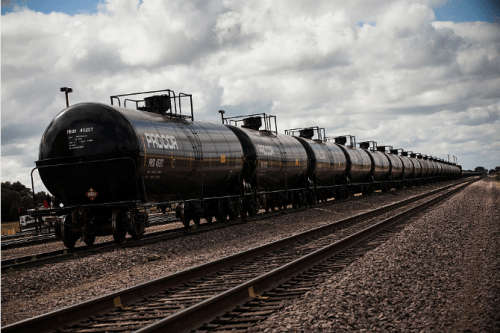 Phillips 66 says a quarter million barrels of crude oil would arrive at the facility each week, should the rail connector be approved. The company says that crude would be transported on modern rail cars that exceed current regulatory safety standards. After a July 2013 oil train derailment in Lac-Mégantic, Quebec, killed 47 people, Canada’s Transportation Safety Board found that none of the cars in that incident was equipped with thermal protection. The cars that sustained only minor impact damage ultimately ripped open after fire exposure, violently releasing their pressurized contents as large fireballs.